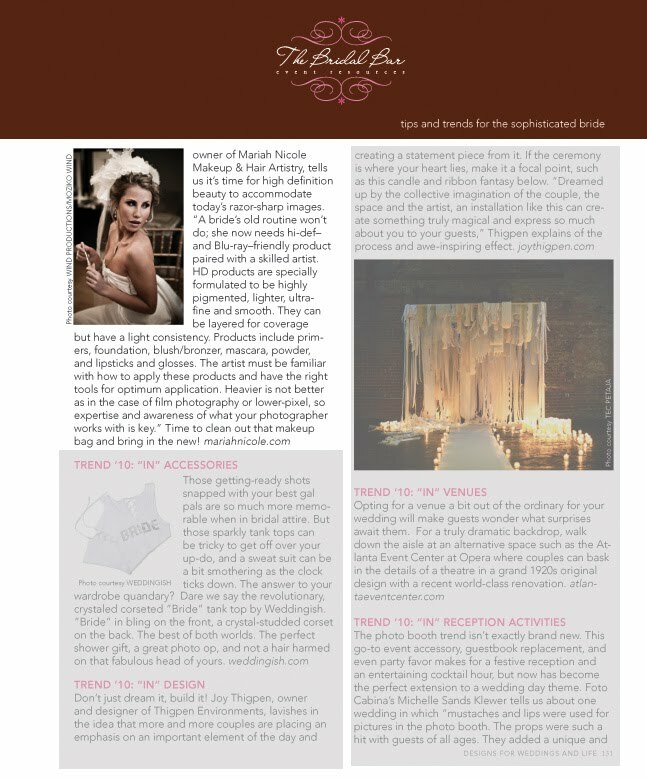 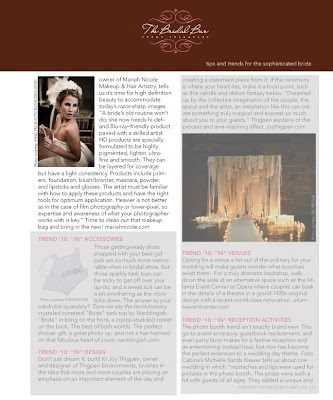 Bride & Bloom magazine teamed up with The Bridal Bar to create a dedicated section for LA's top wedding professionals to give great advice to brides all over the country. Mariah Nicole was chosen to talk about trends in bridal beauty, since she's been working with brides since 2003. 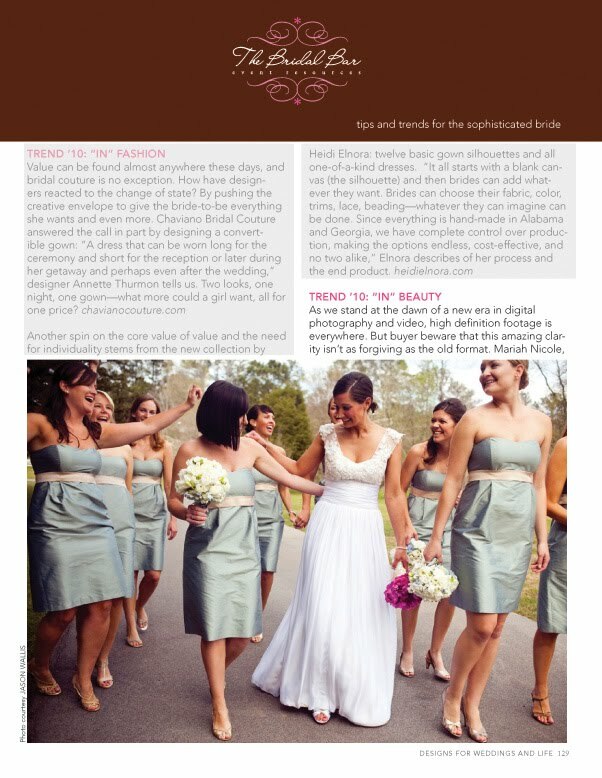 Read on for tips in HD makeup and mineral makeup for your wedding day!